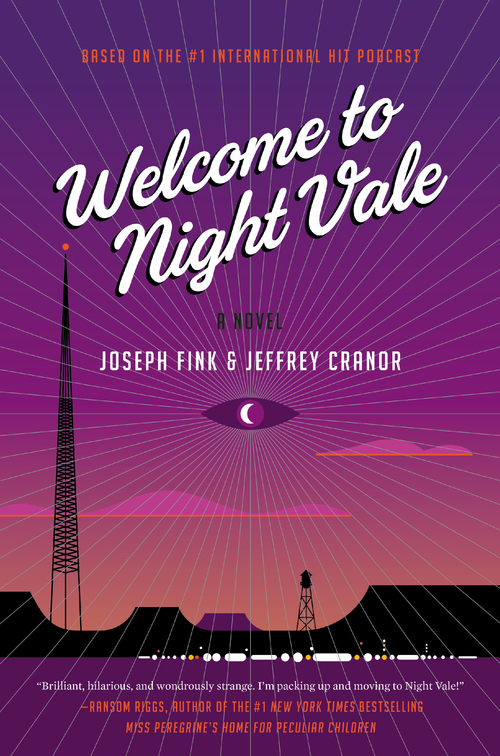 I was a blank slate before reading WELCOME TO NIGHT VALE by Joseph Fink and Jeffrey Cranor, and only had a passing familiarity with the podcast of the same name. In a way, I'm glad, because the spooky, trippy mystery had a deeper impact unhindered by expectation. The authors have created podcasts and live shows about the city where nothing and everything can happen, but it takes a steady hand to go from 30 minutes of blowing your mind to stepping up the intensity in a novel. The book centers on Jackie, a pawn store manager who's been nineteen forever, and Diane, a single mom who works in an office and has a shape-changing teenage son. Jackie can't remember her own mother or the house where she grew up, and Diane is trying to keep her son, Josh, from finding his dad. In a town where the Community Dog Park is patrolled by hooded figures, the City Council eats people who rebel and everyone's terrified of the librarians, the ladies' problems seem small, but they're all connected no matter how random everything seems. There's also the problem of a man in a tan jacket who everyone has seen, but no one can remember. 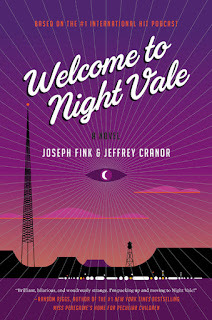 WELCOME TO NIGHT VALE does the best thing a fantasy book can possibly do: it makes you wonder about the very existence of our reality and occasionally our sanity. The book can be creepy without showing gore, funny without being slapstick, and heartfelt without being sappy. It's a fun read, especially if you open it at midnight and let yourself enjoy the ride.